First off, for my loyal hordes of readers, I apologize about the paucity of posts – not only am I working a full ER resident’s schedule, I’m in the midst of a huge backyard project, making my latest credit card minimum spend easily (although in Home Depot trips, not in gift cards), and my whole family is getting over a nasty cold. 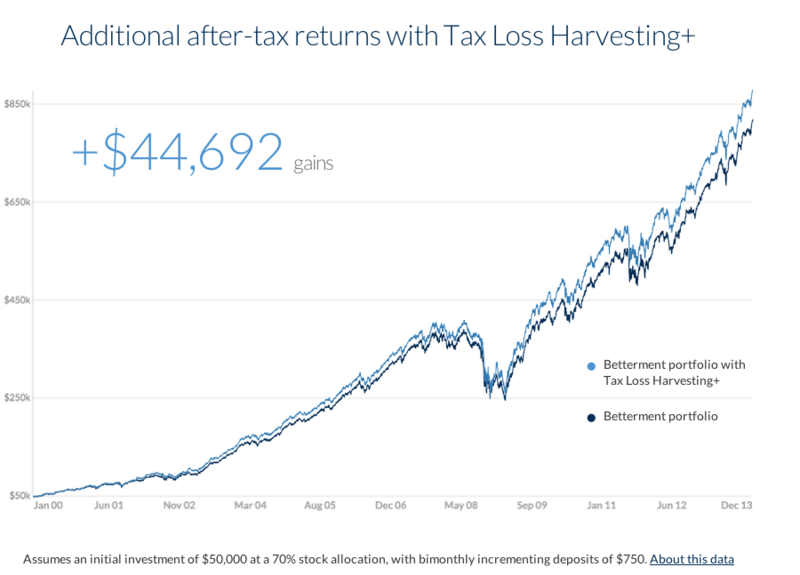 I previously posted a review of Betterment, which, in my mind, iis an ingenious way to invest your money cheaply. It’s not as cheap as directly investing in ETFs, but takes all the work out of it for a still cheap price. (Matt also has a post about Betterment, which is not as positive). 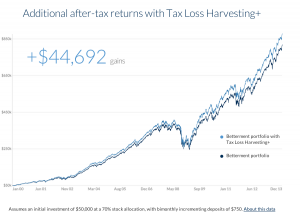 In his post, Matt had noted that Wealthfront offers Tax Loss Harvesting, while Betterment does not. However, this has just changed. 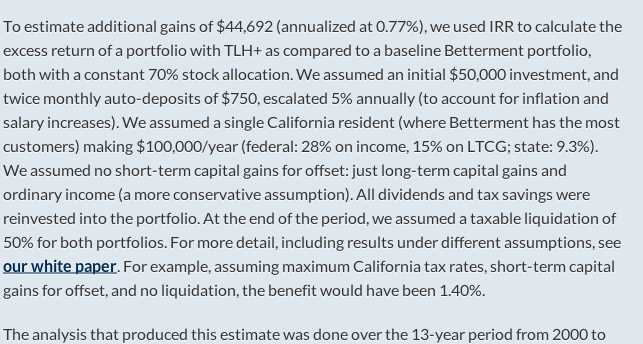 Betterment now also offers TLH, albeit only to those customers with over $50k invested with them. 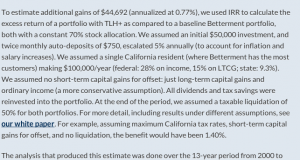 They say that TLH can produce 0.77% better returns that with just traditional investing. 2ndly, in my previous post A new website to manufacture spend, I talked about Loyal3, an investing platform that accepted credit cards, up to $2.5k per stock. Most of us agreed in the comments section that this was a particularly unsafe or unprudent (is that a word?) way to manufacture spend. However, fortune favors the bold: Harry from yourPFPro recently applied for his 2nd Citi Executive AA card, MSed $8k on Loyal3 while making some money, cancelled the card a month later and got the $450 annual fee refunded while keeping the $200 statement credit and 110k AA miles. He’s talking about doing that whole thing again. Harry, you are a crazy man! For my next post, I’ll be talking about the Thrift Savings Plan, a topic many of you have been emailing me about, and a way to really kill it financially while on active duty…stay tuned! Next post: How to buy a money order for 80% off!